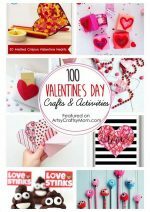 Make this beautiful Crepe Paper Heart Wreath that’s perfect for Valentine’s Day!! 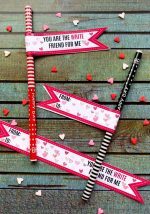 Use it as Valentine decor or as a cute little gift to give your Valentine! Valentine’s Day is nearly here, and we’re soon going to see an explosion of pink everywhere! Since that’s my favorite color I’m certainly not complaining! 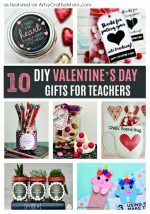 Many people claim that they’re not celebrating Valentine’s Day in a big way, but you can’t help but get drawn into all the roses and teddy bears! But if you’d like something that’s not all pink, we’ve got the perfect craft project for you – a DIY crepe paper heart wreath. 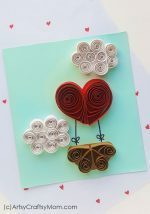 It’s a super easy craft that needs just crepe paper and a foam heart – and about half an hour of your time! 1. 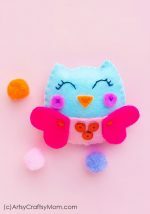 Select 3 or more different colored craft tissue papers for this craft. Cut the tissue papers into small square pieces (any size you prefer). The pieces I prepared were about 4 cm x 4 cm. Cut as many as square tissue papers as you can, you will need a whole bunch of them! 2. Take the tissue paper cut-outs one by one and crumble them into small ball shapes. This part takes time but it’s fun too! 3. 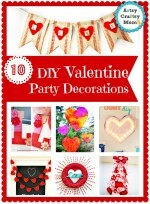 Grab the heart-shaped wreath base and the crumbled tissue papers. 4. Start gluing the crumbled tissue paper on the heart wreath base. Keep the crumbled balls adjacent, keeping no gaps between them. Try to fill the heart wreath base nicely with he crumbled tissue papers. 5. Continue to glue the crumbled tissue papers until the wrath is completely filled. Once the heart wreath base is filled, allow the glue to dry. Attach a hanging mechanism at the back side to complete the wreath. Isn’t this easier than you thought! All you need to do is cut out squares of paper and sit crumpling them – you could do it in front of the TV! It’s also a good project for siblings of different ages to get together and make. If you like making wreaths, you may also like this Rolled Roses Wreath. And for those who want multiple colors, this craft also goes well with our Unicorn Valentine Paper puppet.